THE MUCH AWAITED GOVT. ORDER HAS FINALLY BEEN RELEASED BY THE HIGHER EDUCATION DEPARTMENT TODAY(9TH DEC, 2010) AT AROUND 6 PM. WE TAKE THE OCCASION TO THANK THE HON'BLE MINISTER IN CHARGE, DEPT. OF HIGHER EDUCATION, GOVT. OF WEST BENGAL,THE HON'BLE MINISTER IN CHARGE, DEPT. OF FINANCE, GOVT. OF WEST BENGAL, PROF. TARUN KUMAR PATRA, SECRETARY, WBCUTA, PROF ANJAN KUMAR SENGUPTA, SECRETARY, ABPC, AND ALL THE CONCERNED OFFICIALS OF THE BIKASH BHAWAN FOR THEIR HEARTIEST SUPPORT AND CO-OPERATION WITHOUT WHICH THE GOVT. ORDER COULD NOT HAVE MATERIALIZED. WE ALSO TAKE THE OCCASION TO CONGRATULATE ALL THE WHOLE TIME CONTRACTUAL LECTURERS IN WEST BENGAL FOR THIS GRAND SUCCESS. Please put a copy of GO here. Please attach a copy of G.O. where can I get the copy of Govt Order..? Thanks all of you for the commendable job. perhaves I want to see the original Govt. order which is declered by Govt. are contractual teachers in self finance dept eligible for the G.O.? "Departments/Courses Run on self financing basis are not included in this scheme." This is clearly mentioned in the Memorandum/G.O. 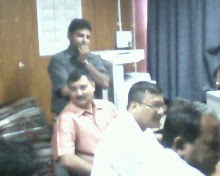 A group of lectures from Naihati R.B.C. College were gather in front of Bikash Bhwan at 1.30 p.m(dated 08.12.2010) but the other members and the "proposed" leaders were not present.In the duration of 2 pm to 2.30 pm,few member were come but LEADERS were still absent. Then the lecturers of Naihati R.B.C.College called D.S over telephone and CONFIRMED that G.O will definitely going to publish on 9th Dec,2010.After a monotonous gathering, our PROPOSED president confirmed us the same date to publish G.O. including the time(11am).In the evening Prof Tarun Patra also confirmed us the same. Representatives of R.R.C.college also called H.E. 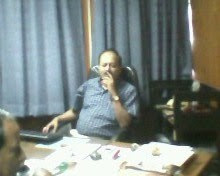 Minister in the mean time by telephone to know the status of the G.O. and the minister said that he don't want to say anything before publishing the G.O. Very unfortunately someone deletes the above post from this blog. It may do by the person(s) who update this blog.But this is not sporting .Late coming in an urgent gathering is not expected specially who lead us. So it is the duty of them to clarify the reason about their late coming. But they did not do that and and also decided (or thought) deletion is the better option than answering the reason. Friend, publication of G.O. is a great event for all of our life. In this time please stay away from such average thinking. Let us enjoy our G.O with a lot of hoo haa…..!!!! i completely agree with mr. anirban. in such gathering punctuality is a very vital thing. moreover, some persons, unfortunately, are misguiding us and making a lot of confision. it seems that he/she doesn't know anything at all still wants to make an impression of his/her own. and this has been happening for several times. let's hope no such thing is going to happen after the publication of G.O. I m a BBA(self-finance) teacher in a Non-Govt.Aided college. Shall i have a secure future by doing the same job? @sub:Read the GO,will you? ?your mentioned word "self-finance" itself discarding your chances,if any! !didn't you got the point?? read my above comment too,which indicating many CWT will be facing problms & tht beyond S-F courses! I got it. That means, the G.O. must be modified. Im working in UGC recognised State University as a full time contractual lecturer.whether this G.O is applicable to us also? now we r getting contract for only one year....renewable.....getting only 14 days casual leaves. i want to know about the post of assistant librarian (contractual) are allotted with this rules of GO or not. Also i want know about the requirement for this post. OUR FIRST PRIORITY IS FIXATION.